I owe a debt of gratitude to many members of the Drosophila community who have provided their knowledge and expertise, which greatly facilitated my effort to put together these immunostaining protocols in a form to provide helpful assistance in performing them by any scientist who may wish to answer questions related to oogenesis. I also would like to express my gratitude to Janos Szabad, Jaakko Puro, and David M. Glover. 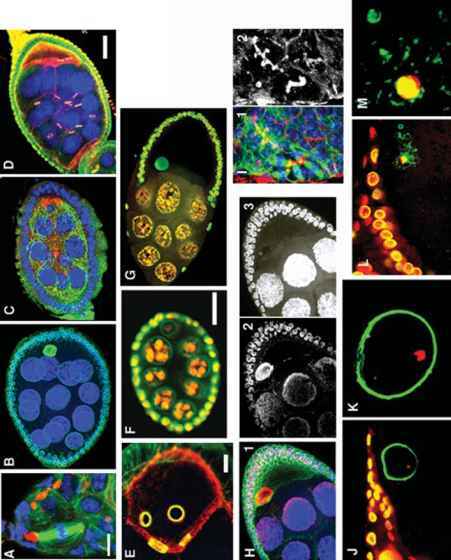 By sharing their deep knowledge, they provided the stimulation to put the developmental genetics and cytology of oogenesis in the context of mitosis, meiosis, and, ultimately, the cell cycle. I also acknowledge the Cancer Research Campaign for the support that has made some of this research possible. Finally, I would like to thank my family; this work would have been quite impossible without their constant help and encouragement.